Beaches in Lima are not just for swimming but a good place to play soccer and park your car. Millions of guinea pigs are eaten in Peru every year. No special occasion is complete without them. They are served whole with the head and feet intact. The word in Spanish is Cuya if you do or don’t want to eat it by mistake. If you are with a Peruvian, you will get a better exchange rate for your money from the man standing on the corner outside the bank. Don’t try this alone. Plaza de Armas or Plaza Mayor (“Main Square” in Spanish) is the place where Lima city was born in 1535, founded by Spanish conquistador Francisco Pizarro. It is also the spot from where Jose San Martin announced Peru’s independence from Spain in 1821. As in other countries if you want real silver or real alpaca, buy from a store with a door. Otherwise you will not be sure if you bought baby alpaca or maybe alpaca. Taxis in Peru do not have meters and you must negotiate a rate before you get in. Anyone can put up a taxi sign in their car and often do to supplement their income. There are no regulations. Many people do it on their way to their regular jobs – if they are late for work, watch out. If you happen to be in Lima on Palm Sunday, you can see the Archbishop. Need stamps? Or anything else? Palm Sunday at the Post Office. There are two seasons in Peru. There is summer when it rains and winter when it is foggy. The temperature is about the same but sometimes your pictures come out clearer. We are a bit late with quinoa (the new it food in LA) . It predates the Incas and has been a staple in the Peruvian diet for years. They have many other grains that are high in protein since quinoa is getting so expensive for them. Check Whole Foods for kikucha. Soccer is the first second and third sport in Peru. They are very enthusiastic and very bad at it. Due to the bad state of the economy and the massive inflation in the 1980s , the government got rid of the inti and brought the new Peru currency “nuevo sol” as the country’s new money. The Peruvian nuevo sol is a stable and reliable currency, it is also the least affected by the weak dollar global tendency. Peru’s geography yields diverse ingredients: abundant seafood from the coast, tropical fruits from the jungle, and unusual varieties of grains and potatoes from the Andes. Peruvian cuisine is recognized around the world as one of the best in South America. It was surprisingly delicious. The immigrant population throughout the years has strongly influenced the cuisine. African, Italian, Japanese , Chinese , Spanish, Inca, Quechua as well as surrounding South American has created the original fusion cuisine. Peru was the last colony in South America. Coca tea is helpful in preventing altitude sickness among other things. I only eat cooked vegetables and fruits and bottled water when I travel to third world countries but had no problem eating raw fish (ceviche) at every meal. It was just another day in the Sacred Valley with quick stop for lunch. For centuries Peruvians have turned to natural remedies to cure their ailments. Medicinal and hallucinogenic plants have been used since pre-Inca times for healing. A variety of healers (referred to as shamans in North America) exist throughout the country with a wide range of techniques. While healers from Northern Peru use San Pedro cactus in their ceremonies, healers from the Amazon work with ayahuasca, which in Quechua translates to ‘vine of the dead’. Ayahuasca is a hallucinogen that induces visions and helps to diagnose illness. Healing ceremonies take place late at night, when the energies are at their highest, especially during a full moon. Westerners have come to Peru specifically to visit with these healers about a variety of issues including cancer and depression. There are mystical Andes tours that include ayahuasca sessions. It is best to do these things in Peru with a real shaman and not in your living room with friends. The one on the end is not me. The first day of hiking at 9000 feet is hard. The first day of shopping at 12,000 feet is no problem. Pisaq Market sells handicrafts, jewelry, minerals, herbs, spices and local foods and is the biggest market in Cusco. it’s a good way to learn about the local way of life, get a taste of how herbal medicine works, see how paints and dyes are made using natural minerals and sample the various local foods. 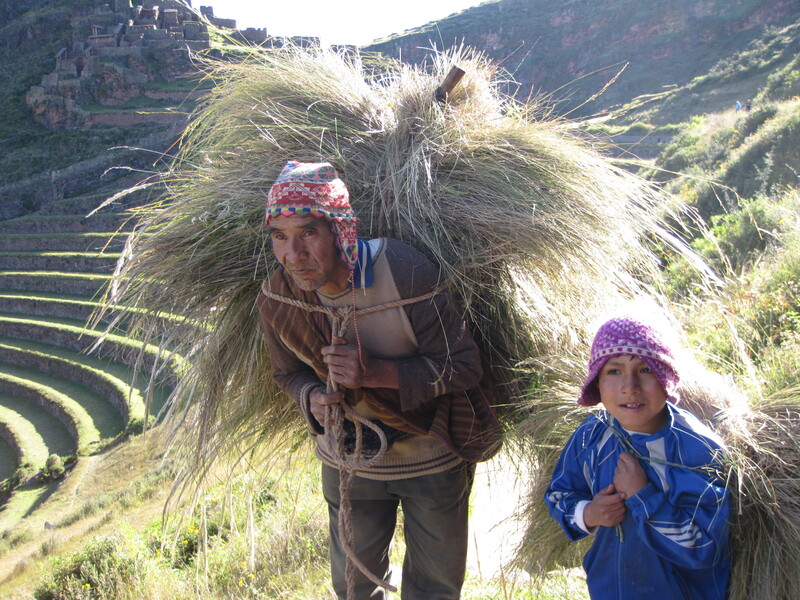 The Quechuas are the descendents of the Incas. You see them all over Cusco and the Sacred Valley in their native dress. I find the women’s outfits most unflattering. But what is beauty and who defines it? Pisco ( pure grape brandy) is the national drink of Peru. There are Pisco Sours , Piscopolitans and Piscotinis. Walking a short distance, from where the bus drops you in Ollytambo, to the train to Cuzco ( due to construction and flooding) is still shorter than changing gates at any major airport. The Peruvian national Anthem ”El Condor Pasa” sounds a lot like Paul Simon’s “Id Rather Be A Hammer Than a Nail. “ At first I thought, these Peruvians must love Paul Simon. Hopefully, he gave them some money. Guess what song he is playing? Peruvian corn has the biggest kernels in the world. Llamas have the right of way at Machu Picchu, should you be on a narrow road and meet one. From far away, it is hard to tell the difference between an alpaca, a vicuna and a llama. It is easier to tell by the feel of the sweaters. The Peruvian root Magra is what they make Viagra from. 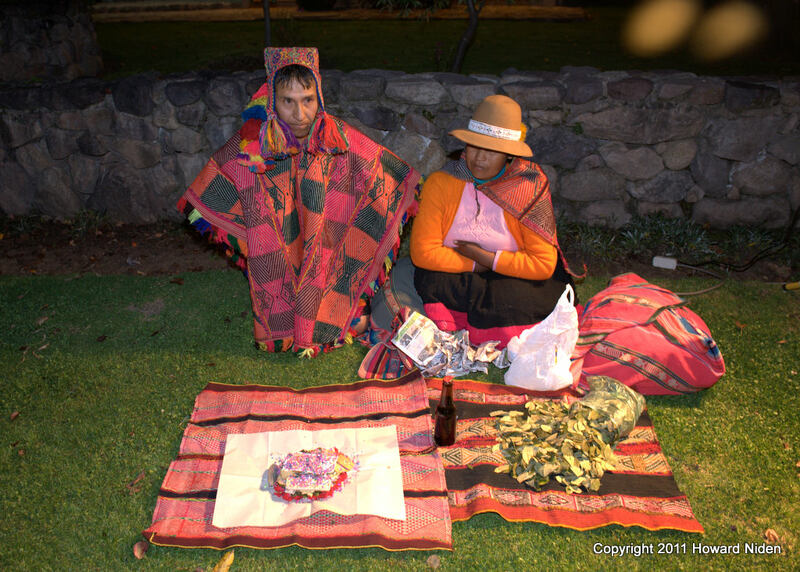 Like their grandmothers, the Quechua women of Chinchero weave textiles. 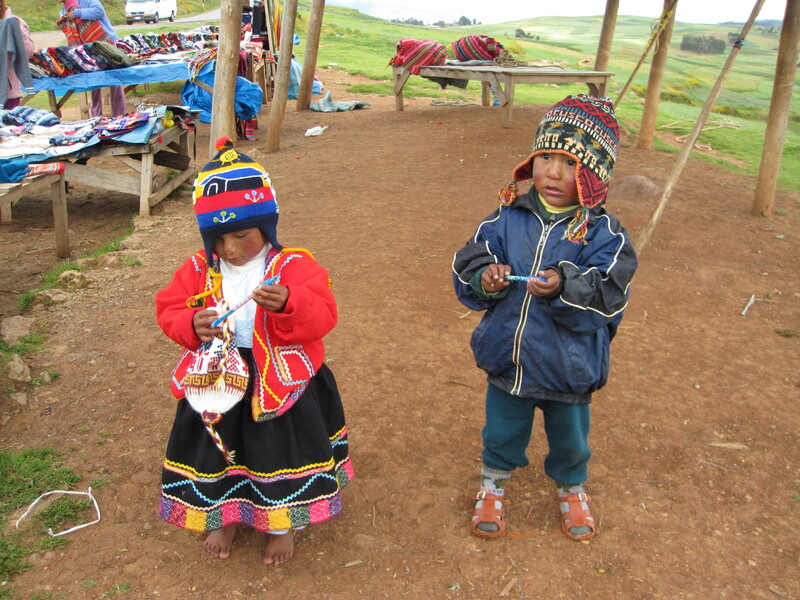 They have formed the Chinchero Textile Center. Dressed in their native clothes, they spin, thread, weave and dye with natural dyes. They are prepared using wild plants, to color the wool. The red is from cochineal and the green is chilca or ragwort, with drops of lemon for a more intense color. The Cuzco School Of Art is a series of religious paintings. The Spaniards taught the Inca artists how to paint their icons in the style of Flemish and Gothic masters. There are no names on the paintings and though the subject is Christianity, the Indians have managed to put in many hidden symbols from their own culture. They moved from the traditional style and added their own interpretation. 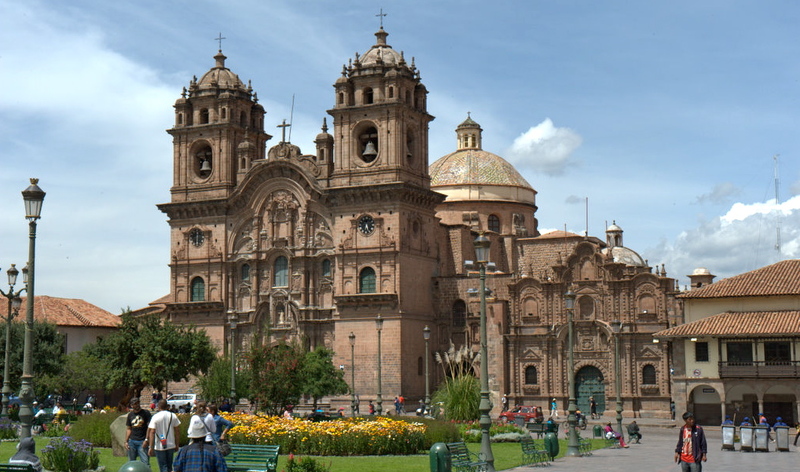 The best pieces are in the Cuzco Cathedral. 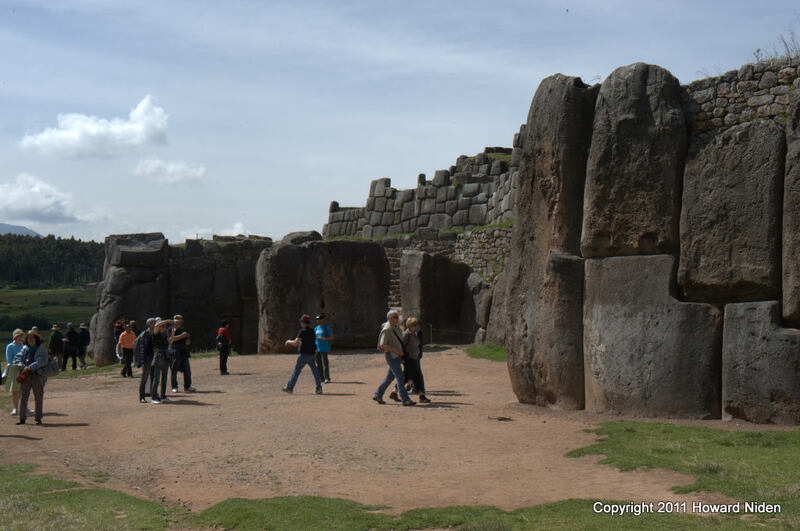 If you want to learn about the Incas, it is another blog. 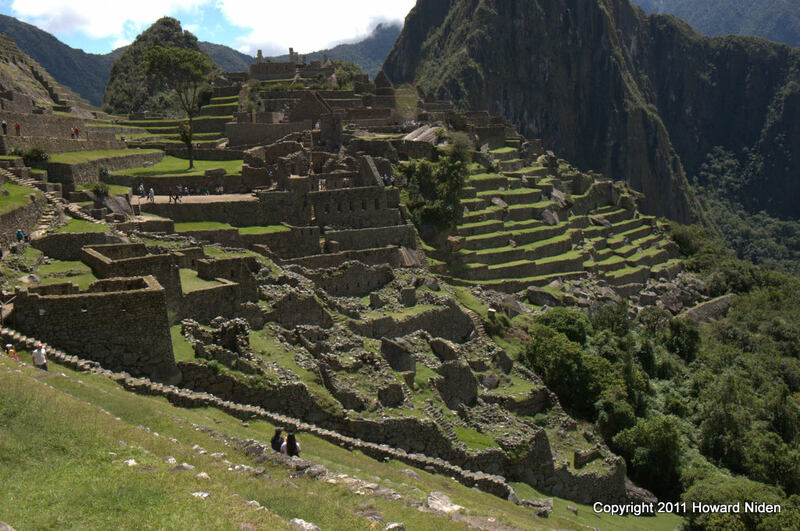 The Inca culture is part myth part Peruvian history. There are no written historical records of people that lived for three hundred years and ruled the West Coast of South America for one hundred years. Archaeologists believe now that the Incas were possibly inventing written language just as the Europeans were destroying their civilization. 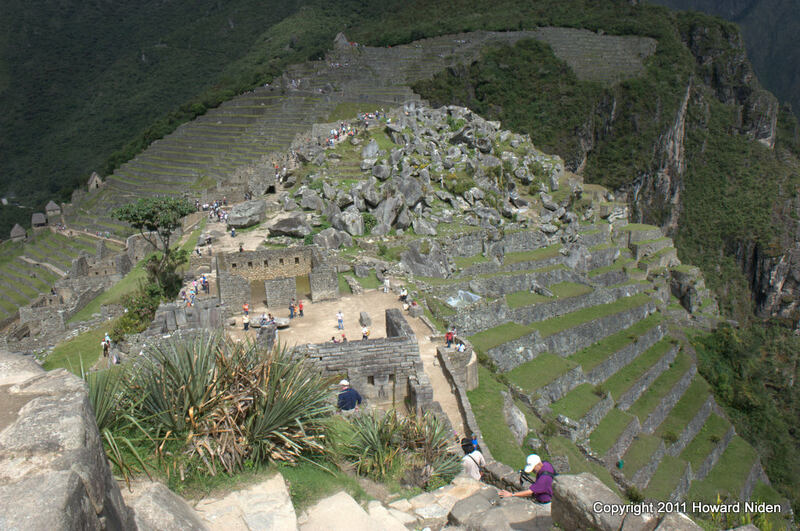 How they transported all that granite up there to Machu Picchu remains a mystery. It is believed that they quarried it on site. When the descendants of the Incas are planting to this day, they put flowers in their hair to dress the earth. They live with shortages but they have the mountains and the sky and that gives them peace. They are always chewing coca leaves. Inca dances are traditional and also a way to pray. The Inca manhood initiation rite lasted a full month, during which the boys who were training to be warriors were flogged repeatedly, had huge holes cut in their ear lobes, ran dangerous races, and danced till they dropped. There was a lot of building going on in the Inca civilization ( third largest after Egypt and Mesapotamia) They built palaces, aqueducts, storehouses, terraces, temples, houses, gateways etc. Looking at Machu Picchu you could see their “tax dollars at work”. We know very little about Inca women because the only written records are by the Spaniards. Spain was a patriarchal society and they were not interested in recording information about women. The Inca emperor married his sister seemingly because this helped to resolve the problems they had with succession when an Inca died. ( a good way to prevent inheritance problems but not birth defects). Her name was Coya and she was powerful in her own right. 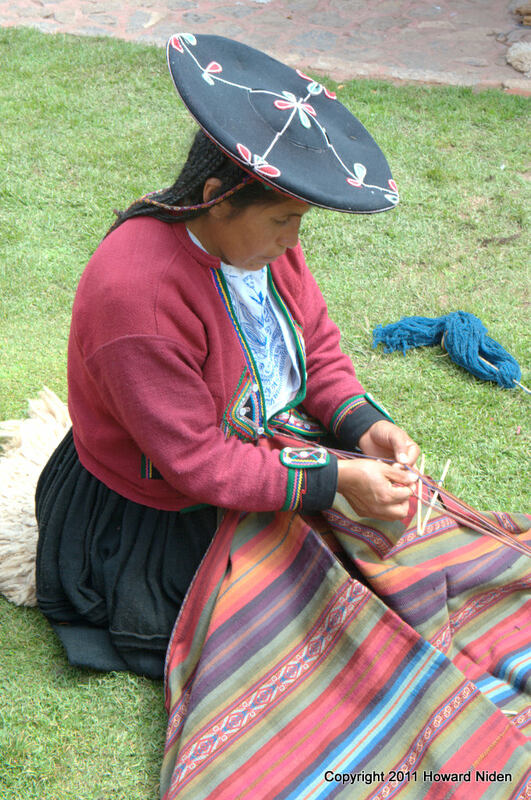 The Incas were skilled craftsmen and artists. Most of their gold and silver art was melted down by the Spaniards. Also today we have Inka Kola, Inka rail and a ton of Inka traffic going to all the historic sites. 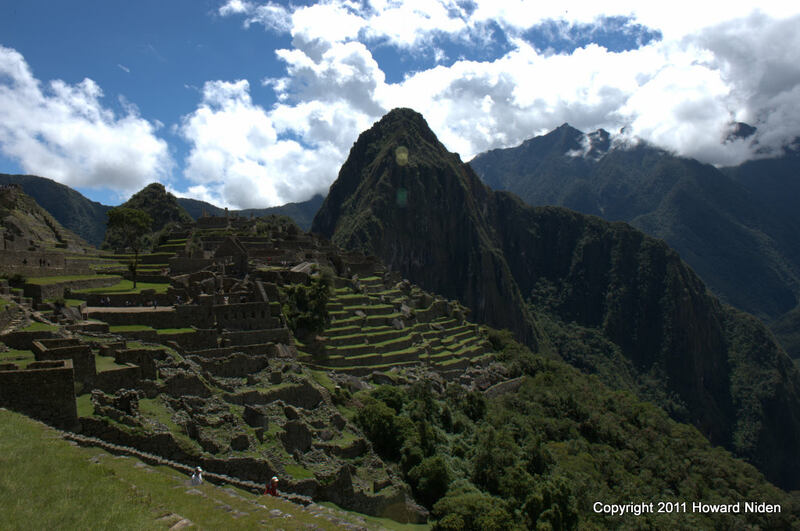 Machu Picchu was the royal estate of Inca King Pachacuti. Th Incas were good at organizing labor. When Pachacuti’s grandson Huayna Capac built his royal estate (in Urubumba) he had 150,000 workers on site. The corn-growing Cochabamba valley of Bolivia was short of local labor, so they had 28,000 workers migrate there from Lake Titicaca and back (a distance of about three hundred miles) twice a year, once to plant and once to harvest. On foot, of course. They had nice roads to travel on. 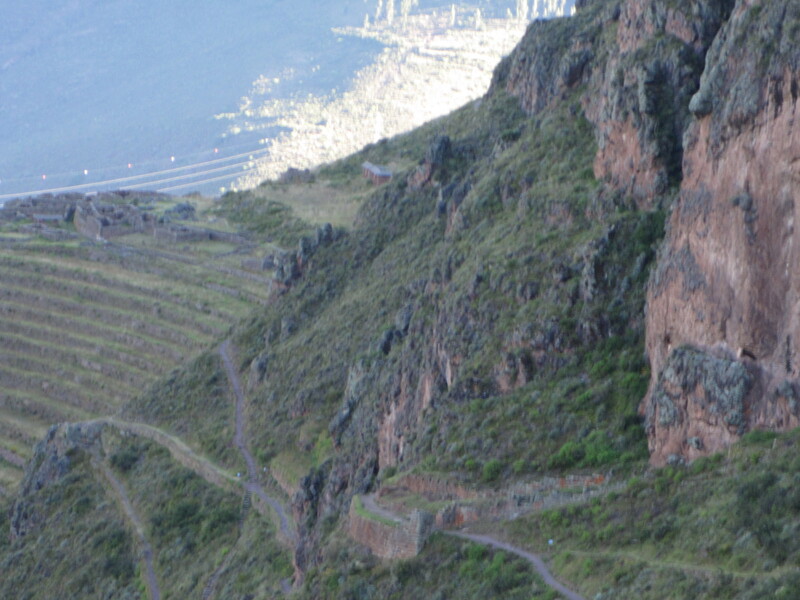 The Incas built a network of stone-paved highways all over the empire. 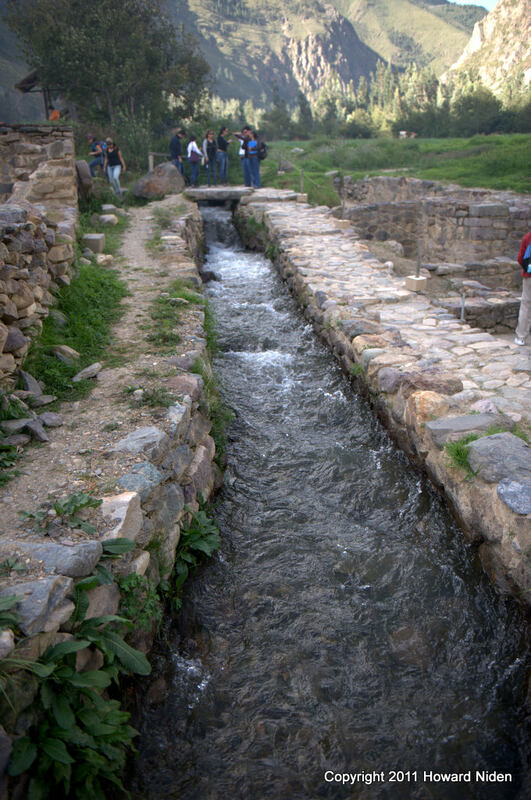 Archaeologists have so far logged about 50,000 miles of remaining highways in modern Peru alone, not counting the other nations that once formed part of the Inca empire. Machu Picchu has brilliant engineering, drainage and foundations. They filled the terraces with layers, starting with topsoil for the crops and then river sand, stone chippings from the quarries, and big rocks. Underneath that are subterranean drainage channels which still carry water down the mountain No matter how hard it rains, no standing water ever remains for long on the surface. 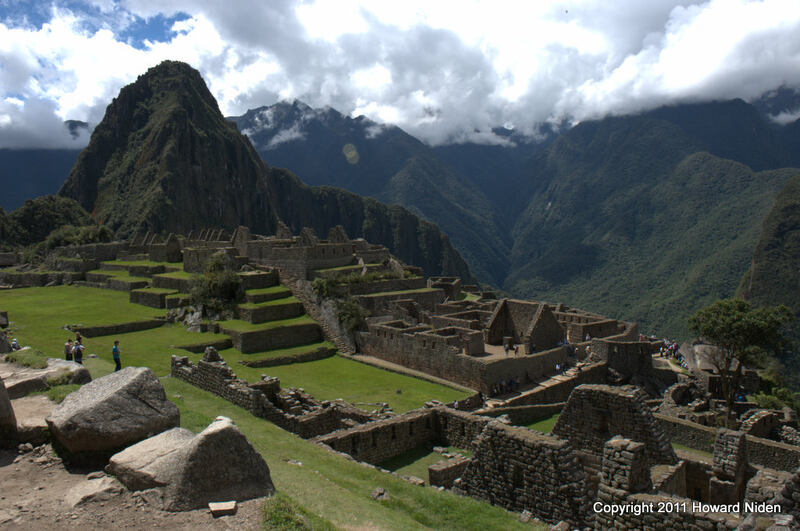 ( Estimate: 60% of construction at Machu Picchu is invisible, underground.) i believe we could learn something here because it rains a lot in Macchu Picchu. The Incas worshipped the earth goddess Pachamama . Before our trip to Machu Picchu we met with a shaman to make an offering to Pachamama for safe journey. The purpose of Macchu Picchu will always remain a mystery. It is probably a religious and spiritual site. It is the work of man echoing the work of nature. The Inca trail leading up to Machu Picchu ( it takes four days of camping out in the Andes if you want to do it) was built to always face the snow capped mountains because that is what they worshipped. The architectural style is sacred geography. For me, if God isn’t at Machu Picchu, he isn’t anywhere. PS. I had help on this one . It is advantageous when you are writing about the Incas to have made a friend in Peru who happens to be one of the leading authorities on the Inca civilization . Peter Frost is an explorer, author, photographer and National Geographic expert on Peru and the Incas. He has made one of the most important discoveries of Inca civilization since Machu Picchu. Check out his website (www.peterfrost.org). If you are traveling to Peru you will find his books very beautiful, helpful and informative. After 9/11, the world reacted in very kind and humane ways. The best story that I heard was the one from the Masai tribe in Kenya. One of the Masai was living in New York and studying to be a doctor at the time. He returned to Kenya and reported the story to the tribe. Telling stories to the Masai was the way of passing on the news. They hadn’t watched it on television. They didn’t comprehend the logistics. They didn’t know who the bad guys were. They understood that 3000 people had perished in an attack on the United States. They wanted to help. The cow is life to a Masai. They use every part of the cow and treat it as a sacred animal. Fourteen families gave up their only cows as a gift to America. It was a big sacrifice for them. It was a bigger lesson for me. No one is so important that they do not need kindness and you can always do something to help the human condition. Over the last few years, I have started to travel to third world countries. I always do something. I heard about the first school being built in the mountains in Peru and I cashed in my travelers checks (no easy feat by the way) to help them. I gave pens and pencils to the Embera tribe in the rainforest in Panama. I also taught English for a day. In Cuba we handed out everything we brought in the first few days. After that, I gave away my own things and all my cash. My suitcase to Burma was filled with things for the orphanages including 12 dozen children’s toothbrushes. (I read that it was one toothbrush for a 100 children) I happened to mention to someone I had just met that I was going to buy toothbrushes for the orphanages . The next day i received a text to come pick them up at her office. She always does something. There are different theories on this. There was an article in Cambodia that the orphanages were not using the things that were donated because if they looked poor they would get more stuff. It is said that America ties its foreign aid to its allies and interests. I have read that if you give money to children begging in the street, their families won’t send them to school. The best thing to do is to research a country you are passionate about. Find a cause that you support. The most basic causes are food and water. I am passionate about education and I always try to do something with a school. There are many choices- ecotourism, humanitarian, medical, teaching, cultural, conservation, farming and research. You can do it for a day , or a week or a year. There are many international organizations who do good work that accept donations – just research where the money is going before you give. International Red Cross and Unicef are two well known ones. Donate items, money or time. Perhaps do all three. Food, clothing, clean water, medical , household and school supplies are always appreciated. You may not feel that you are doing enough to change the world but you are doing enough to change someone’s day for the better. In Peru, I gave my boxed lunch to a Quechua woman on the plane. I went to the bathroom when we landed. When I came out, the Quechua woman was standing there. I asked her in Spanish if everything was ok. She nodded. We walked through the terminal and into the luggage area together in silence . We walked over to where my group was and then she left. I thought about it for a long time. I was a stranger from another country. In her culture, people exist by helping each other. It didn’t matter who I was. I gave her my lunch. She made sure I got to where I needed to go. There was no speaking. It is just something you do. Sunsets are easy. You are usually awake and can make a plan. “Lets have a drink and watch the sun set over the Ocean, the River, the Volcano, the Old City, the Rainforest etc.” They are usually social. Sunrises in my life are fewer, accidental and sometimes seen alone. My goodbye to a city is often at sunrise. I take a lot of early morning flights . 1. Machu Picchu, Peru My plan was to meditate at sunrise on Machu Picchu. By 4:30AM , the road into Machu Picchu becomes Disneyland on a crowded Sunday. . It wasn’t easy to find a quiet place . 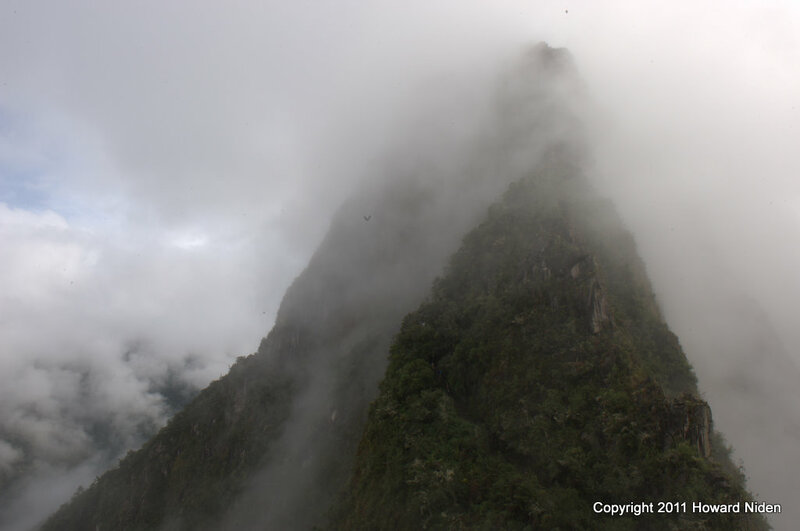 Machu Picchu is in the clouds. The sunrise is cloudy and rainy most of the time. Still, the eery light hitting Machu Picchu in the morning feels very spiritual. We will never know why Machu Picchu was built and who lived there but we know that every morning they saw this same sunrise. 2. 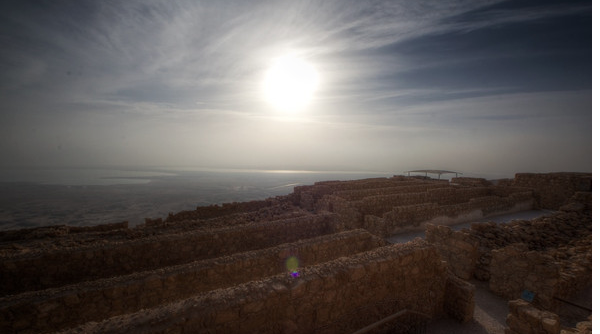 Mount Masada, Israel When I was in college, we climbed Mount Masada. It was very hot and very dark. At the top, there was water and a ladle that everyone drank from (I know we didn’t have Aids then, but we did have germs!!) It is still the best water, I have ever tasted. We sat down to watch the sunrise . The guide told us the story of the Jews surrounded by the Roman army. We reflected on their choice to kill the women and children themselves before the Romans got up there. It was a somber sunrise. 3. 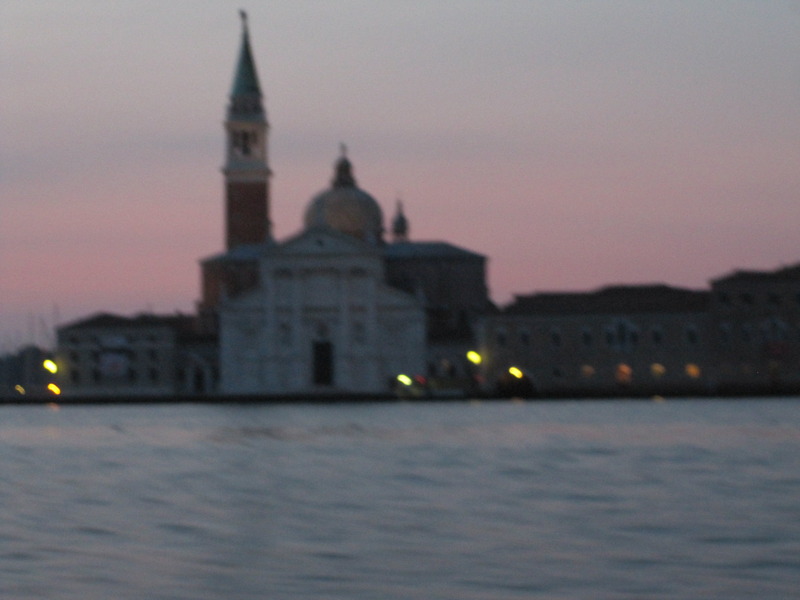 Venice, Italy My kids and I were taking a boat to the airport in the dark as the sun quickly rose over Venice. The colors change with every light and shadow and it is truly the most beautiful city in the world . 4. 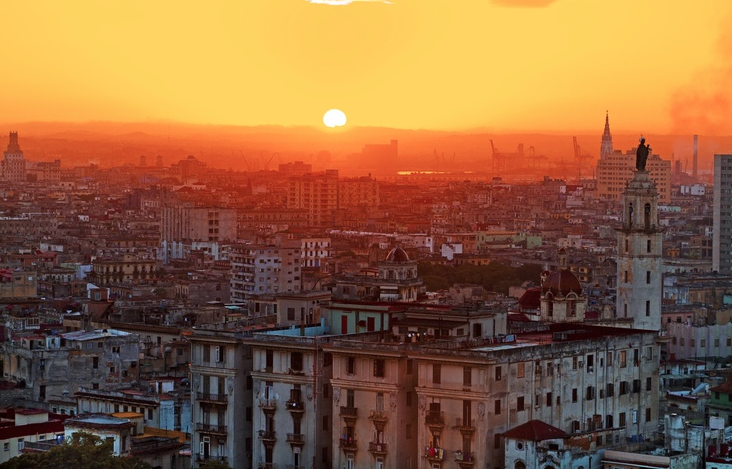 Havana, Cuba Leaving Havana in darkness, thirteen years ago, I was filled with a lot of emotions. My daughter had performed at the Cuban Ballet Festival. We had no information going in and had no idea what to expect. It turned out to be one of the most amazing experiences of our lives. The dark streets were filled with humanity going to work. They were crowding the bus stops to get on the few running buses . People were selling snacks. The sun rose over the busy streets and faded colors of the buildings. It sparkled off the water hitting the Malecon ( sea wall) and shined on the old cars from the fifties. I took an imprint in my memory because I knew when I came back and Fidel was gone it would be different. 5. Barcelona, Spain was the opposite experience. It was summer and the city was crowded with tourists. As I drove to the airport at sunrise, the streets were filled with students and young people who had been out all night, dressed in their club clothes. They were all on Las Ramblas, trying to keep the evening going. 6. Perissa Beach (black sand), Santorini, Greece I also had been out all night and now we were sitting on the beach . A large Pelican stood next to us, waiting for the restaurant to open for breakfast, as the sun rose over the black sand beach. 7. 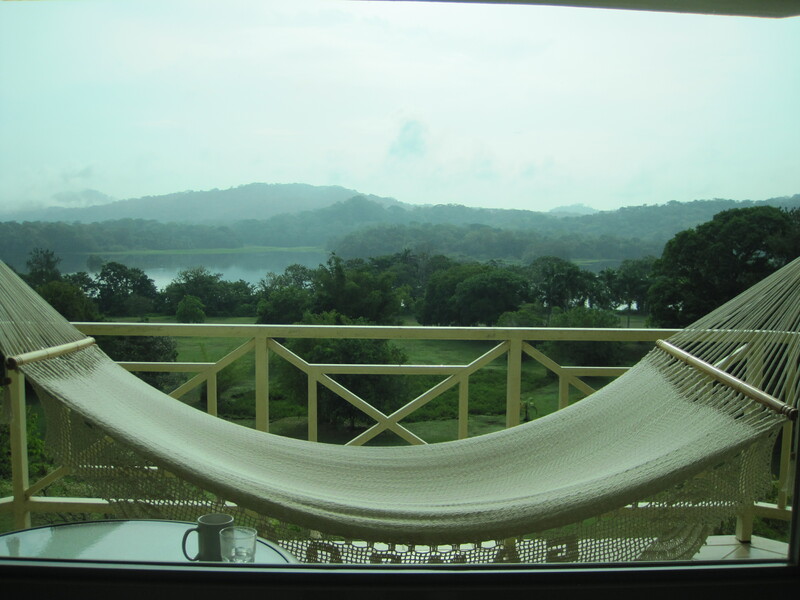 Gamboa Rainforest, Panama We came into the hotel at night and everything was very dark . At sunrise, I saw and heard the sounds of the amazing rainforest for the first time. The sunrise is nature’s alarm clock. I got up every morning to lie in my hammock and have a coffee (best room coffee called Puro –I brought some home) and listen to the sunrise . 8. Cervina, Italy Sometimes a sunrise involves a decision. I was seventeen and it was my first trip to Europe. I had gotten up to ski from Cervina to Zermatt, Switzerland. We had to bring our passports. (it was so WW2) As the light of day broke, all we could see was the white of a huge snowstorm. I went shopping in Milan instead. I can be flexible. 9. Bangkok Thailand The sun rose just as we pulled up to Suvarnabhumi Airport. There was no one outside except for two monks wearing saffron robes and sandals. They were leaning up again the modern steel and glass building of the airport. The sunrise reflected them in the glass. 10. 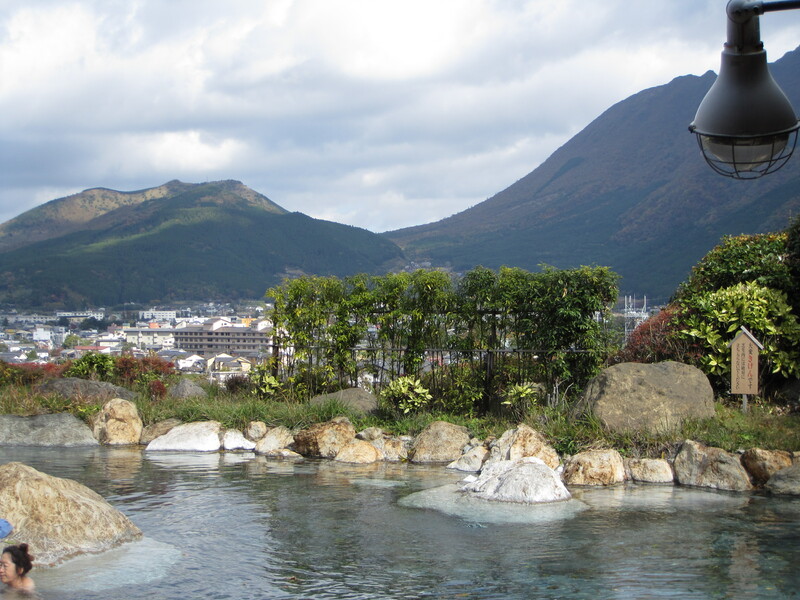 Yufuin, Japan It was our last morning and we wanted to use the onsen (mineral baths) . I was the only American in the ryokan (probably in the town) I decided not to wear my kimono and just go in my pajamas and a jacket. It was outside and very cold. To my surprise, the pre dawn bathhouse, was filled with Japanese women in kimonos or showering. It was 32F degrees and I just couldn’t shower outside. .I jumped in as the sun rose in the sky. I made so many cultural mistakes that morning (including coffee before breakfast) Luckily, the Japanese are very polite. Brooklyn, NY When I was growing up, my favorite place to see the sunrise was to go to Kennedy Airport and watch the planes take off . After the sunrise, we would have breakfast there. I wondered when I would be a person, going to some exotic location on an early morning flight.